Last night (October 9) Cardi B continued her meteoric rise in the music game when she took to the stage of the American Music Awards and gave the crowd a performance they wouldn’t soon forget. 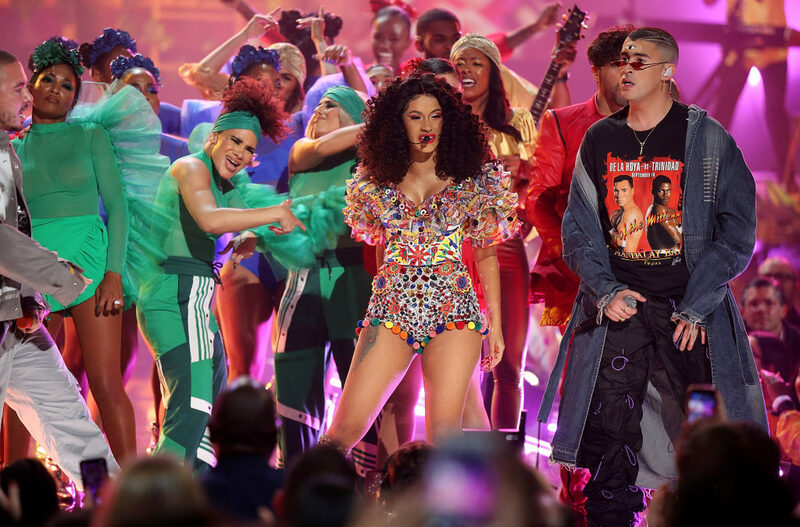 Joined by Latin Trap stars Bad Bunny and J Balvin, Cardi B set Los Angeles on fire with their performance of the Latin infused song, “I Like It.” Styling in a colorful caribbean inspired dress, Cardi spit her verse while utilizing some moves that we imagine helped make her a hit amongst patrons during her stripping days. Check out the lit performance below and enjoy the shine that is the star known as Cardi B.